New Balance decided to take the integral design of the New Balance M1260V3’s predecessor, the 1226 and turn it completely on its head. The 1226 was a shoe that featured many defining features for the current New Balance range, utilizing some of the latest innovation and thinking in the company alongside a robust and well balanced design that saw it ascertain fantastic reviews. 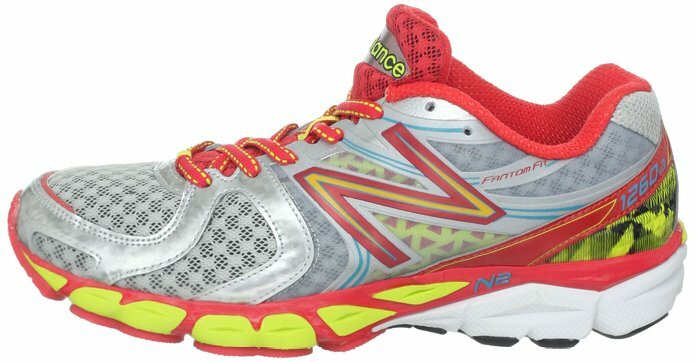 The New Balance M1260V3 takes these features, improves upon them heavily and thus provides you with a shoe that is robust, visually appealing and more than capable of giving you enough support to ensure that you keep on using it for many hundreds of miles. The New Balance M1260V3 has the classic look and overall design that New Balance has become renown for, incorporating a solid but not overly high heel with a well-rounded toe box that will see the shoe fit a wide variety of admirers. The use of breathable materials throughout the upper of the shoe also looks fantastic and does a good job of offsetting the polymer material utilized elsewhere. The color scheme takes the classic steel silver look and incorporates it with some bolder colors such as blue, red and green towards the heel and toe configuration of the shoe. The overall steel silver look is much less obtrusive than in other models and gives the shoe a smooth appearance which greatly aids perceptions. What does this actually mean in terms of the performance of the upper sole of the shoe, however? Well, thanks to the overlay of fabric mesh in the upper of the shoe, the overall experience will be one that has excellent breathability with good rigidity thanks to the configuration of the overlays on the outside of the shoe. This is also no-sow welded seamed to ensure that the issues of blisters and general uncomfortableness are kept to a minimum. Ankle support for this particular model is also excellent thanks to the installed cradle of the foot itself. It does not pinch the midsole of the foot, whilst offering a good level of grip to ensure your foot remains in place, no matter the terrain you are tackling. 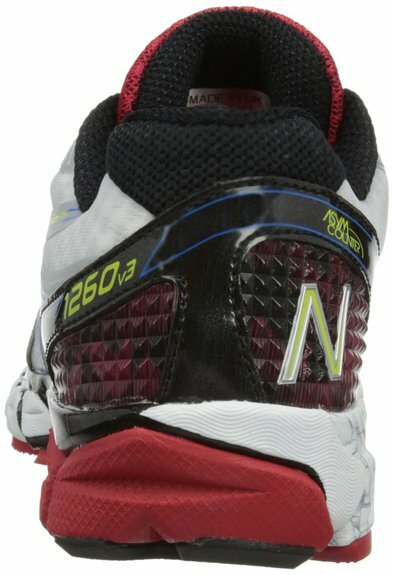 There is also excellent cushioning throughout the insole of the New Balance M1260V3 thanks to the array of material used. There is good cushioning from the foam that also breaks down quickly to fit your foot size, whilst the heel cushion installed towards the rear of the insole ensures that there is not an overburdening on the rear of your foot. The extensive redesign also features heavily on the sole of the shoe. The midsole is around 24% lighter than the previous model thanks to the ACTEVA Light technology whilst the M1260V3 also utilises N2 technology to increase the cushioning effect upon the shoe. This adds durability to the sole also. There is also now a better crash-pad installed in the forefoot of the shoe utilising abzorb technology, meaning that you get better acceleration and leverage when in your run pattern. There has also been a redesign and installation of the torsional bar that helps to reduce overpronation in the New Balance M1260V3. The T-Beam TPU shank adds stability and medial arch support, reducing the need to pronate as your run time increases. With an 8mm drop to the surface below you, there is extensive padding throughout the New Balance M1260V3 and this means that running is both smooth and well padded. The Abzorb crash pad protects the forefront of the foot excellently whilst the rear stability and outsole design lends itself to a much smoother ride. The installation of the medial arch support also means that flexibility is just right, allowing for greater control and thus a running stance suited to you. The toe is also good in terms of flexibility, making acceleration much easier as there is good resistance whilst you push off. 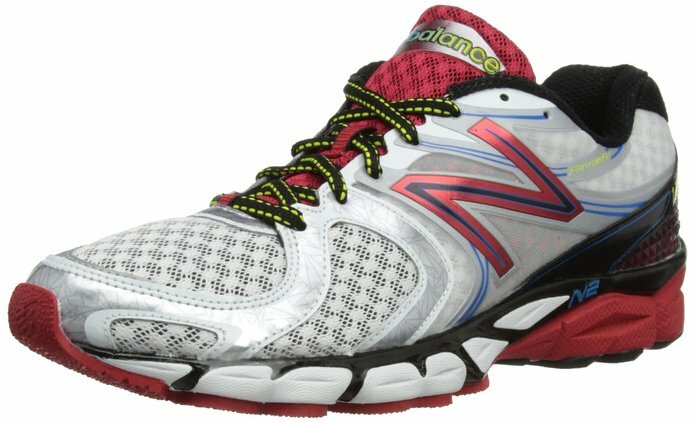 If you are on the market for a good running shoe, then this New Balance M1260V3 is a fantastically designed shoe that offers a great mix of both stability and speed for those who require a robust and well performing shoe. The material use is excellent and the sole design means that the risk of overpronation and injury is kept to an absolute minimum. I hope that this New Balance M1260V3 review has been helpful.